The company CR-DAT was established in 1991. Main activities in the first few years included delivery of computer technique, designing and realization of computer network, program coding and services in the area of IT . In the year 1996 our company started co-operation with the company OKM GmbH Jena, by distribution of their products, installation, calibration of measuring technique, technical support and training of customers. 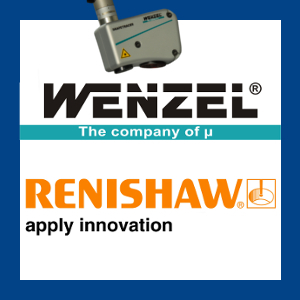 In the year 2000 our activities were expanded by co-operation with the company Wenzel Präzision GmbH Wiesthal, leading European producer of 3D measuring machines, which is the main supplier for the automobile industry. Our company provides service in Slovakia, Czech republic, Poland, Russia, Belorussia and baltic countries. 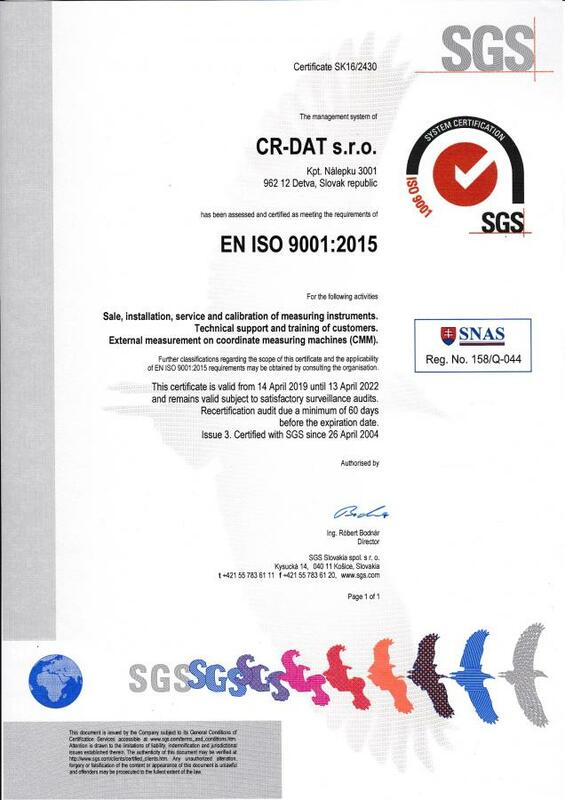 In the year 2004 the company CR-DAT has finished the building of managment quality system and received the certificate of Quality managment system. 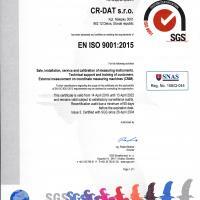 In June 2006 we completed accreditation for calibration laboratory by STN EN ISO/IEC 17025:2005 from Slovak national accreditation service.